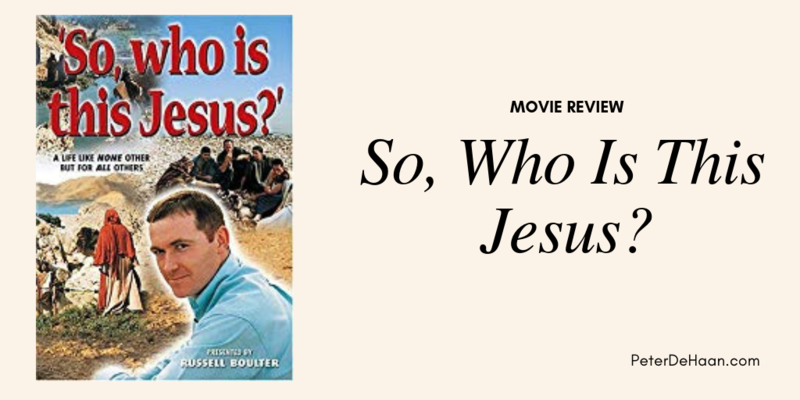 HomeBlogMovie ReviewsMovie Review: So, Who Is This Jesus? So, Who Is This Jesus?” is a made-for-TV production that provides an accurate overview of the main events of the Old and New Testaments of the Bible — in 48 minutes. In narrative form and shot in Israel, the production includes a few basic re-enactments of historical events, but mostly shows the narrator (Russell Boulter) in historical settings. His smooth delivery makes for compelling viewing, often stating Biblical facts in a modern, relevant manner. It is not dramatic cinema, but it does provide reliable information in a well-done format. This video is a great primer for someone who wants a quick overview of the Bible and obtain a basic understanding of the historical beginnings of Christianity. For others it is a good review, highlighting the main theme of the Bible.